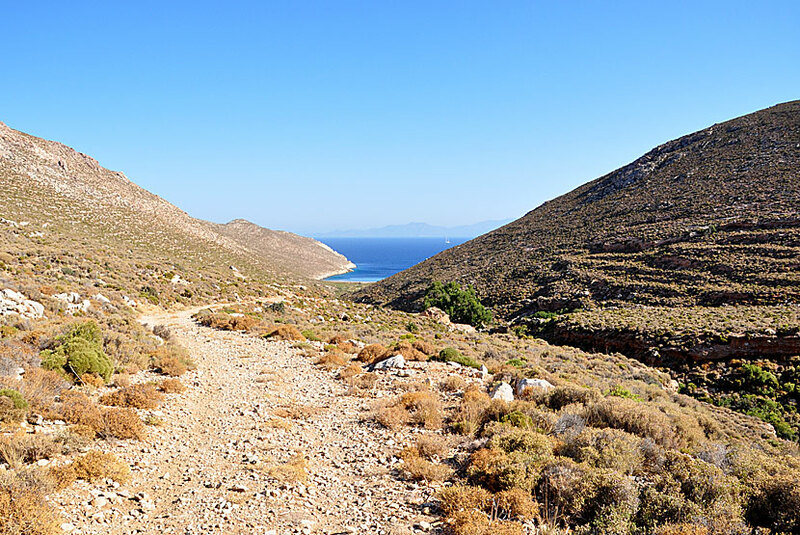 After 20 April 2019, we were still on Tilos island in Greece. The photo shows the path to Skafi beach on the north coast. We walked there; not all the way to the coast, as there was much too see underway. Again, Sardinian warblers singing. And a nightingale. Again, many painted lady butterflies; on their spring migration? Then, a different butterfly: a red admiral. The scientific name of this species is Vanessa atalanta. Linnaeus probably named the species after the Greek mythological young woman Atalante, famous for her beauty and speed. A bit further, a collared flycatcher on a tree. This is a collared flycatcher video from Sweden. On a wall, the most common of the five lizard species of Tilos: a snake-eyed lizard. A male red-footed falcon flies past. Then. on a rock, the biggest Tilos lizard species: a sling-tailed agama. This 28 April 2018 video is called Sling Tailed Agama – (Stellagama stellio) – Κουρκουτάς – Cyprus. As we walk back, a male golden oriole flying. We approach a cypress tree near the ruin of an old farmhouse. Only some of its walls are still standing. Between the ruined walls, these holy orchids grow.